We build custom furniture with a focus on lasting quality. Serving the Knoxville, TN and surrounding area, Dovetail Woodworks was founded by Erin Watson in 2001 out of a desire to create furniture the way it used to be-furniture that could be handed down to the next generation. By employing tried and true woodworking techniques, our furniture is designed to last. We use "wood to wood" joinery like dovetails and mortise and tenon (both used by ancient cultures) whenever possible to ensure the strongest, most reliable joints. The human finger can feel 1/1000th of an inch difference between two surfaces. It is our goal to create seamless joints that are indistinguishable when touched. Why does this matter? Because we believe that each creation should not just be utilitarian, but aesthetically pleasing as well. Once completed, the piece should feel as if it were created from one block of wood. We take pride in our attention to detail so you can take pride in your furniture. "There is always opportunity to learn and improve". Erin Watson learned woodworking from a number of sources including his father and grandfather as well as books and media. His pursuit of perfection means he is constantly learning. Erin is a follower of Jesus Christ and seeks to live his life in accordance to Colossians 3:17 "And whatever you do, in word or deed, do everything in the name of the Lord Jesus, giving thanks to God the Father through him." Erin is a graduate of Tennessee Technological University and holds a Bachelor of Science degree in Chemistry. 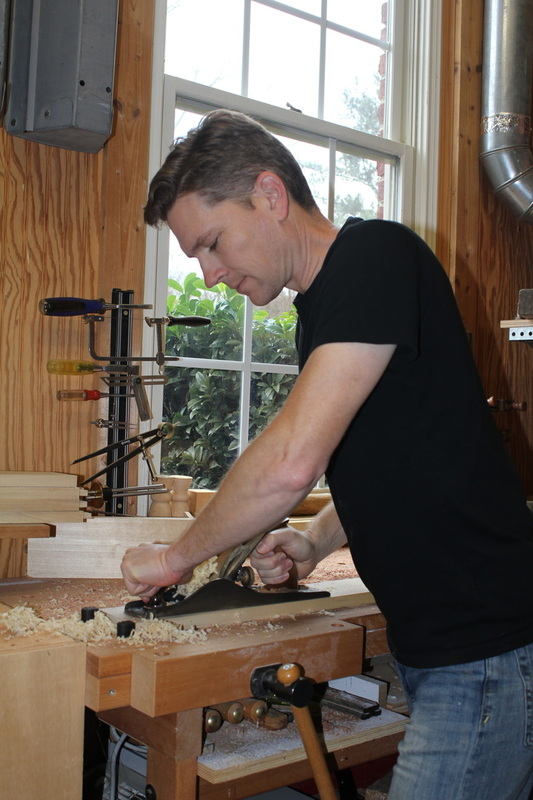 After 8 years as a compounder in the rubber and tire industry, he founded Dovetail Woodworks to pursue his passion for woodworking. ​Erin lives in Knoxville, Tennessee with his beautiful wife and two daughters.